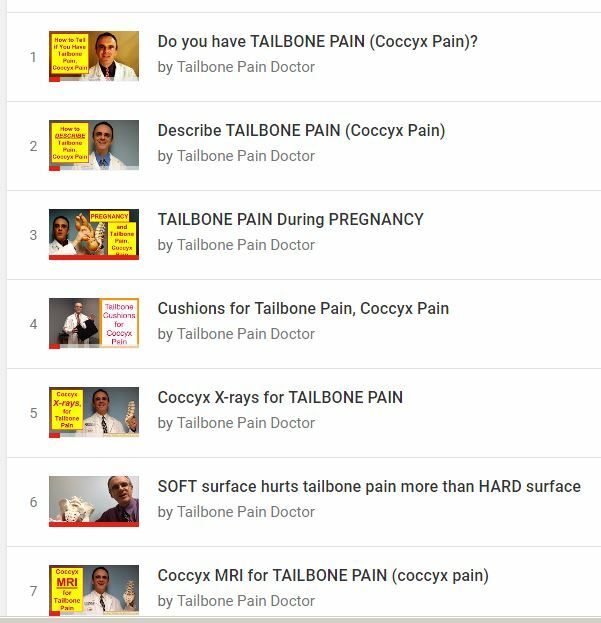 This is a “collection” (what YouTube calls a “playlist”) of videos on Tailbone Pain. The nice thing about a “playlist” is that you can watch the whole series of videos straight through (without having to click on each one individually). Clicking once on the Video-link –ABOVE– is the easiest way to watch the videos on TAILBONE PAIN…. How to know if you have TAILBONE PAIN…. How to describe TAILBONE PAIN…. About TAILBONE PAIN and PREGNANCY…. Copyright 2006, 2007, 2008, 2009, 2013. New Jersey Medical School is part of Rutgers, The State University of New Jersey.